This year, I had the privilege of not only attending, but also presenting at, the 2015 Virginia State Reading Association (VSRA) conference held in downtown Richmond, Va. 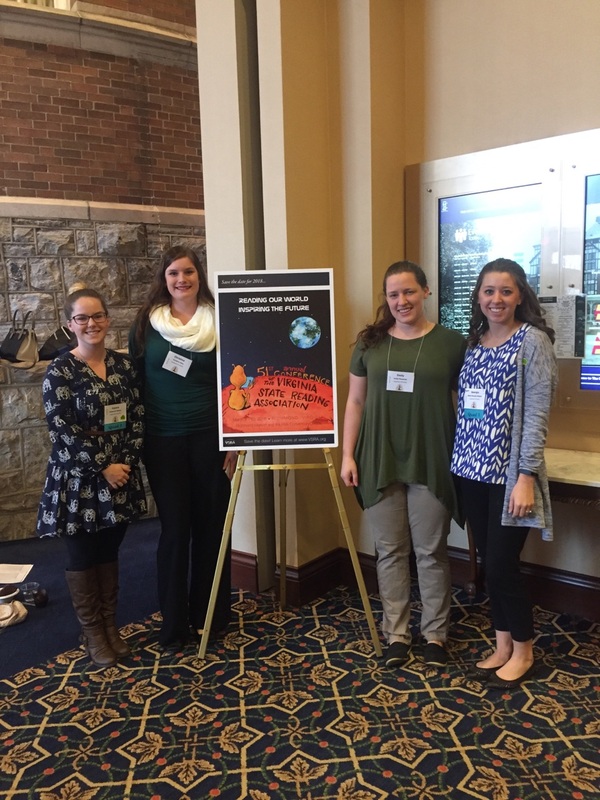 The VSRA is the preeminent literacy education institution within the commonwealth and this was my first time attending the conference. 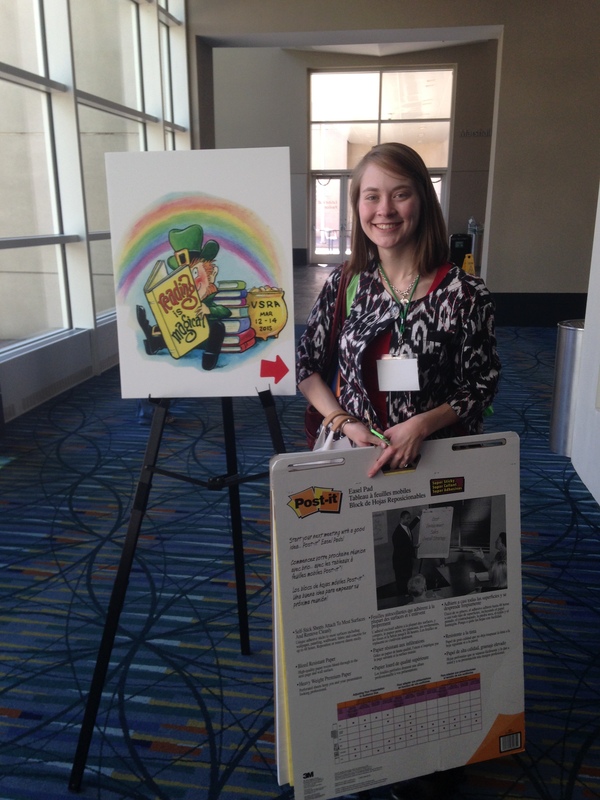 This year’s conference theme was “Reading is Magical,” which was truly fitting. I was immediately impressed by the diverse professionals I met, from classroom teachers to reading specialists to school administers, who were all passionate about improving reading (and all literacy) instruction in their schools. It was also a great pleasure to support and learn from many of my Reading, Literacy, and Learning program classmates and professors who also presented at the conference. 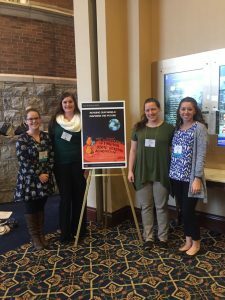 Last week, I took the wonderful opportunity to attend and present at the Virginia State Reading Association conference in Richmond, Virginia. The theme of the conference was “Reading is Magical”. While attending the conference, I learned many different strategies from experienced reading specialists and literacy coaches that I can use as a reading specialist/coach. I was able to see and hear about how an experienced reading specialist worked with another reading specialist as a team to successfully and effectively meet the needs of the entire student and teacher population in the school. I also collected great resources that will be useful for me as a classroom teacher and/or reading specialist/coach. The topic of my presentation was “Let’s Get Engaged!”. It was a 50 minute research-based presentation about motivation and engagement. Teachers, reading specialists/coaches, graduate students, professors, and administrators attended my session. I had the attendees participate in different activities they could use as educators and facilitators. The examples could be manipulated and implemented in their field based on the content focus and need of the students. Overall, being able to attend and present at this conference has given me more experience and confidence with presenting and networking with other educators and facilitators that will help me with my career. 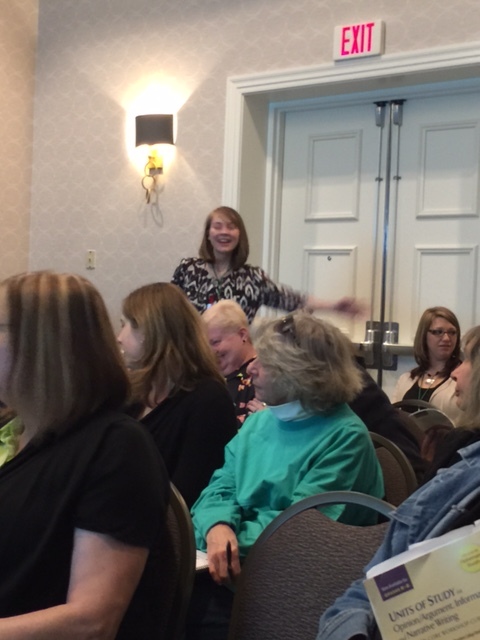 This past weekend, I was lucky enough to attend the 2015 VSRA Conference. This occurred in Richmond, Virginia and was packed with beneficial information within the field of literacy. 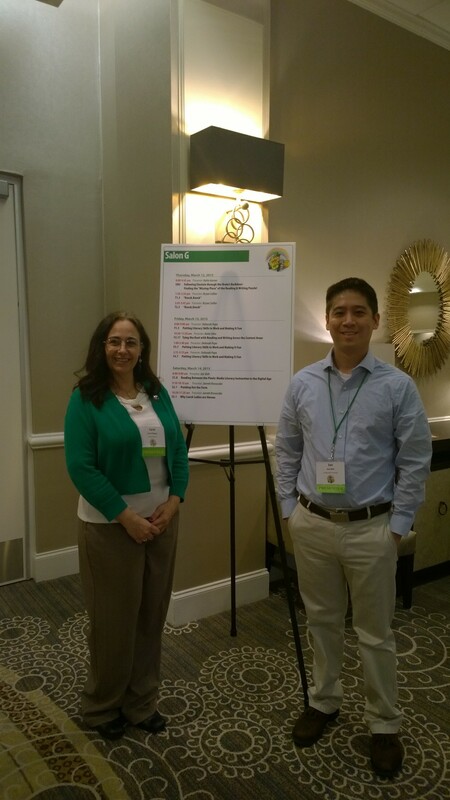 One of my favorite parts of the conference was being able to see Dr. Jean present on “No More Worksheets!”. Dr. Jean’s session was packed with at least ten different activities that engaged students more then worksheets. Dr. Jean also used song and dance to give us brain breaks. These songs and dances are geared toward PK-1 students and all are centered on different aspects of literacy. 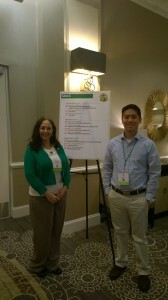 I was also fortunate to see Kimberly Johnson present on best research based practices for enhancing students writing. In addition to all of the great sessions I saw, my group and I were very proud to present our session on English Language Learner Students and Literacy. It was such a great and informational weekend, I can’t wait to use everything I have learned in the future! I really enjoyed this conference. As a future elementary or middle school teacher, I felt like I learned new, valuable information, no matter what grade I choose to teach. 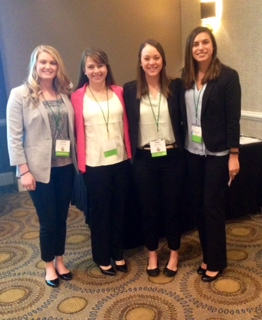 The first session on Saturday was a great way to start off the day, learning new strategies for motivating students. This was able to connect seamlessly to what we are learning in READ 650 (Research) and I felt like I was able to take so much away from this presentation. Even though this presentation was focused on K-3, I had many ideas for transitioning the material for older students. 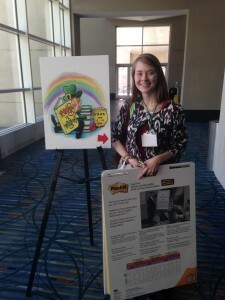 Another presentation that stuck with me was learning about the Virginia Readers’ Choice awards and the books that were chosen as the top picks for middle school and high school. I walked away with great ideas how to use these books effectively in classroom, along with book discussions and possible extension activities. Finally, presenting at the VSRA conference was an extremely fulfilling experience; it is a great accomplishment that I am proud to share with possible future employers and appreciate the opportunity.